During this tour there is a fair amount of fast paced walking involved. Please dress appropriately. Please wait by the concierge desk in your hotel at 5:00am (4:45am on Saturdays) for your transfer to St. Pancras International Station. (Applicable to clients staying in central London hotels only and must be pre-booked). Upon your arrival in Gare du Nord station, the splendour of Paris awaits! Enjoy a whistle stop tour of Paris and marvel at its magical monuments from the comfort of your seat! Take in the Champs–Elysées, Arc de Triomphe and Trocadero, to name just a few gems this panoramic tour provides. 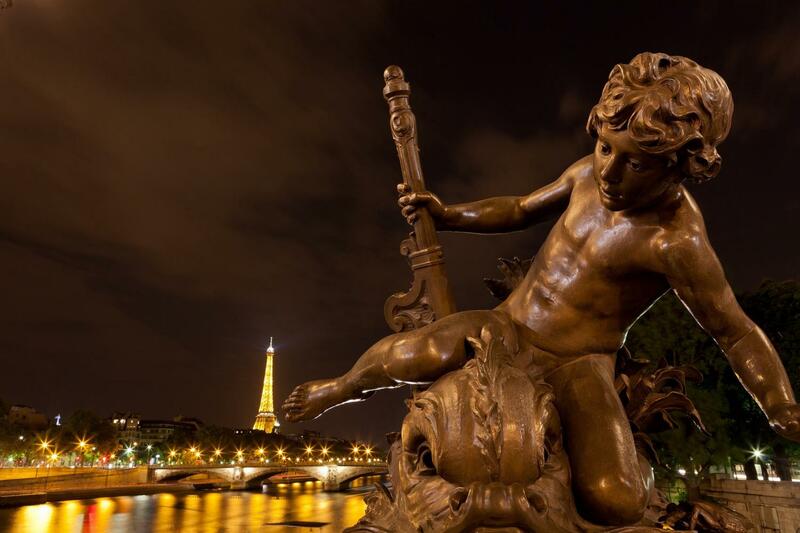 The trademark monument of Paris! Enjoy breathtaking views of the city from the second floor of the Eiffel Tower. Take to the water on a luxury cruise and enjoy panoramic views of Parisian magical monuments. The cruise lasts an hour and an audio tour is provided. Entry to the Louvre Museum is also included. (*On Tuesday the Louvre is closed and you will be given a ticket to Musée d’Orsay instead). On 12 June, 17 June, 19 June , 23 June , 24 June, 3 July, 4 July, 5 July, 8 July & 15 July 2017 - Due to low availability you will visit Montparnasse tower instead of Eiffel tower. Overnight accommodation will be in a 3* hotel (centrally located). Note: During off–peak season the Fully Escorted Tour Paris may operate on Day 2. Please check at the time of booking. Explore Paris at your leisure! Following breakfast, spend your day as you wish. After a thrilling time spent discovering Paris, make your own way back to the Eurostar™ Check–in at least 45 minutes before departure. Your departure time from Gare du Nord station is 8:13pm, arriving back in London at 9:39pm.